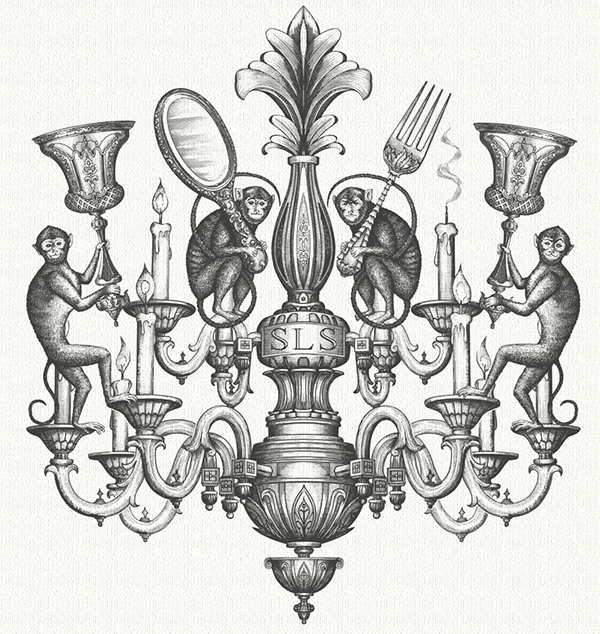 was originally modeled after Steven Noble's own dining room chandelier. 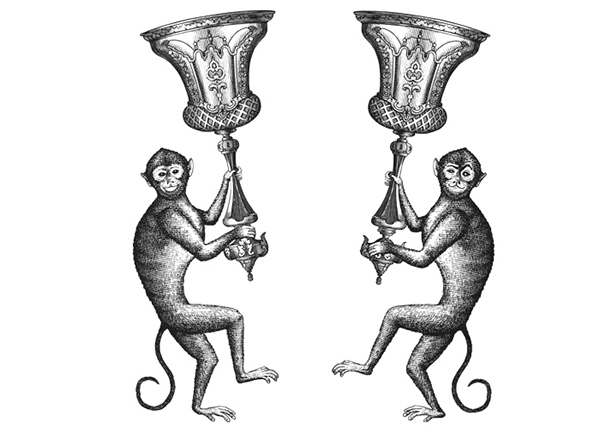 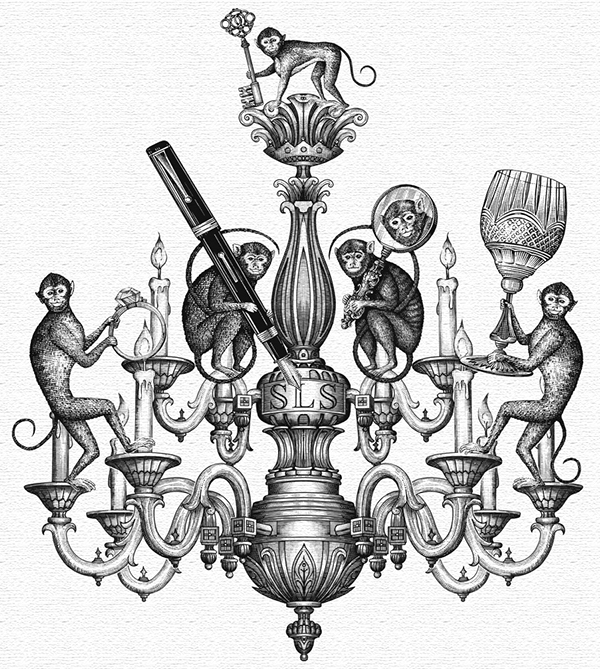 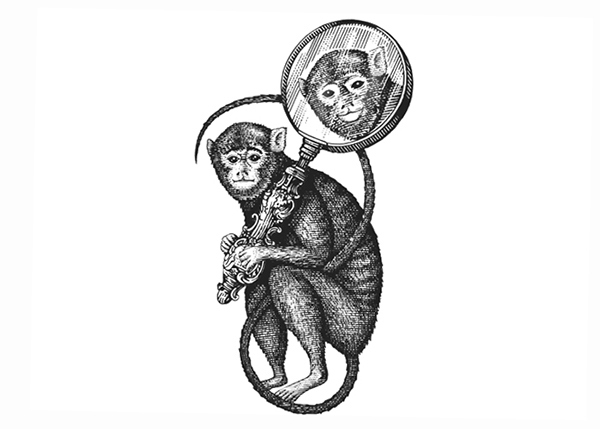 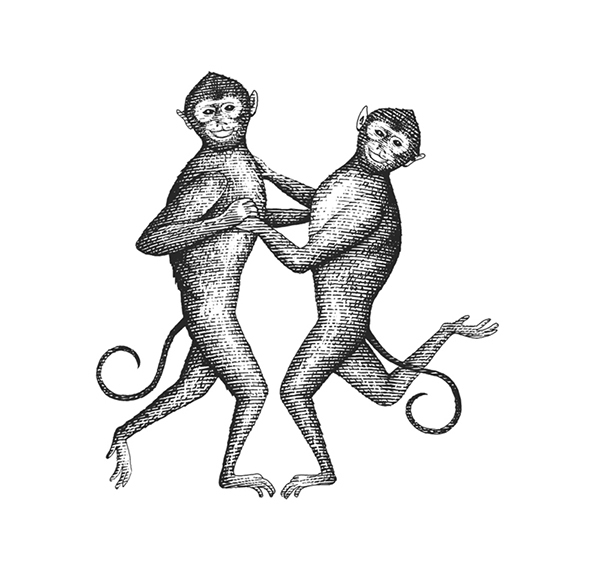 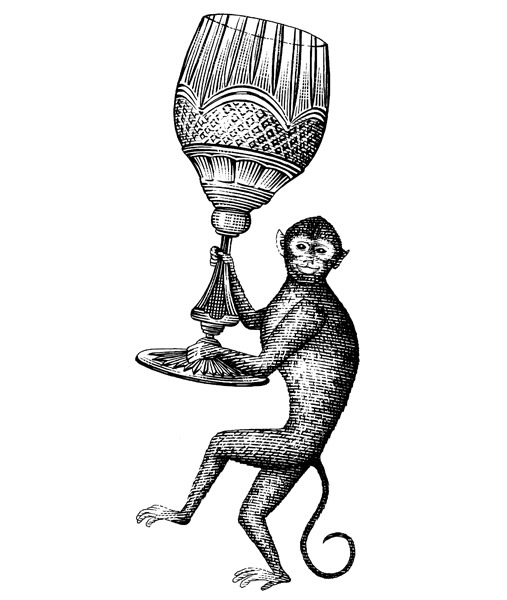 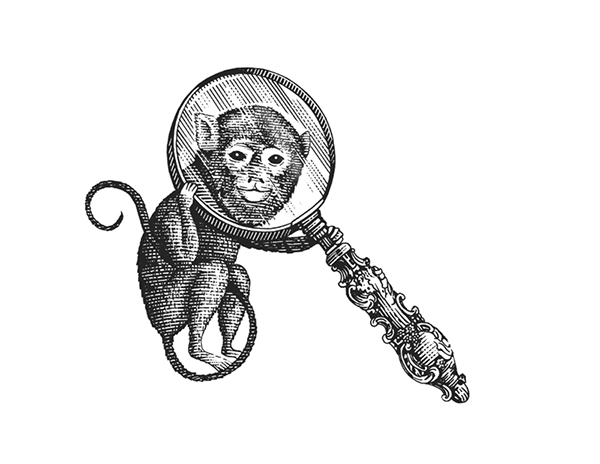 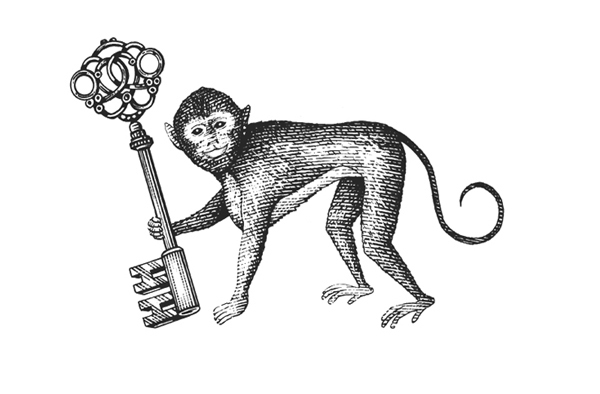 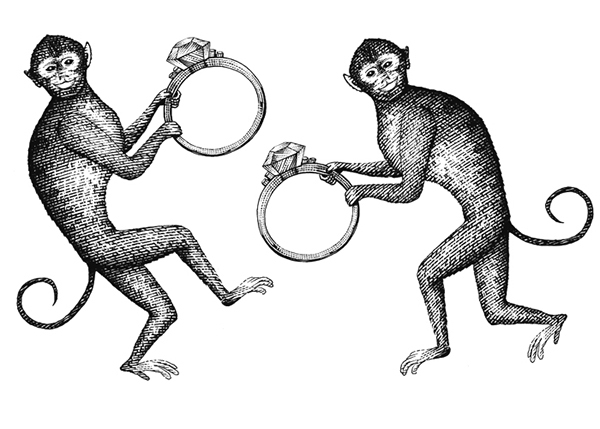 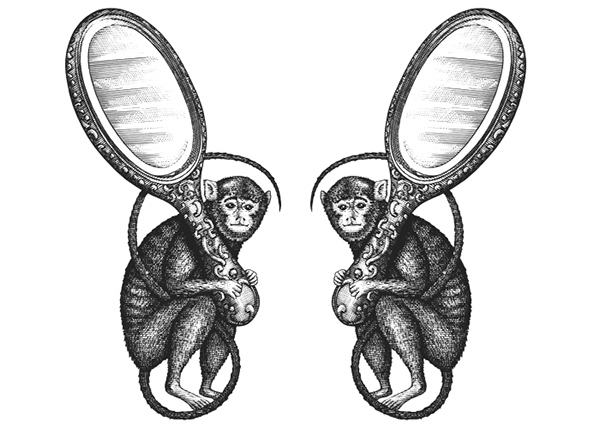 Each monkey was individually illustrated and layered over the chandelier for animation purposes. 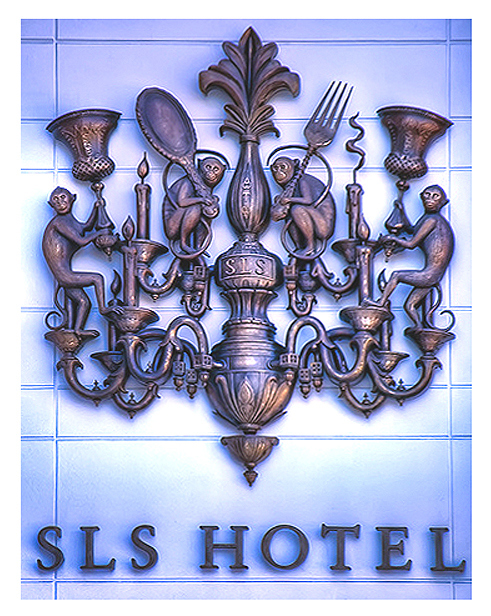 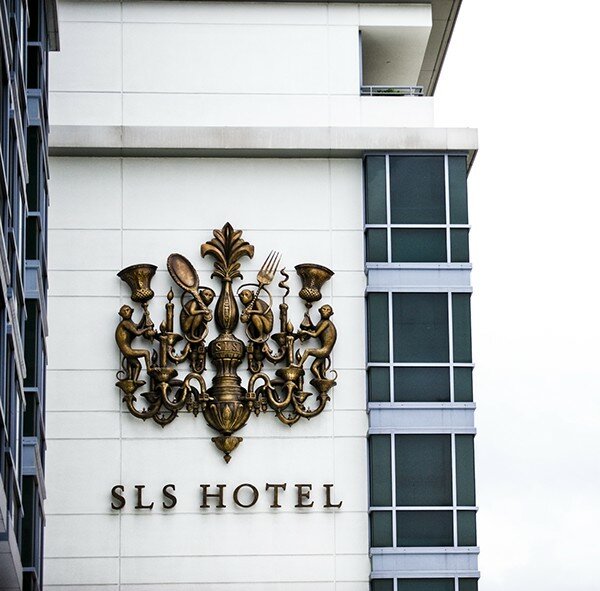 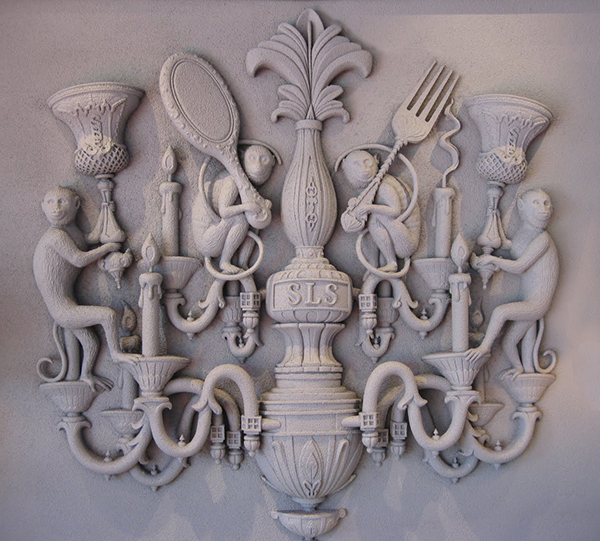 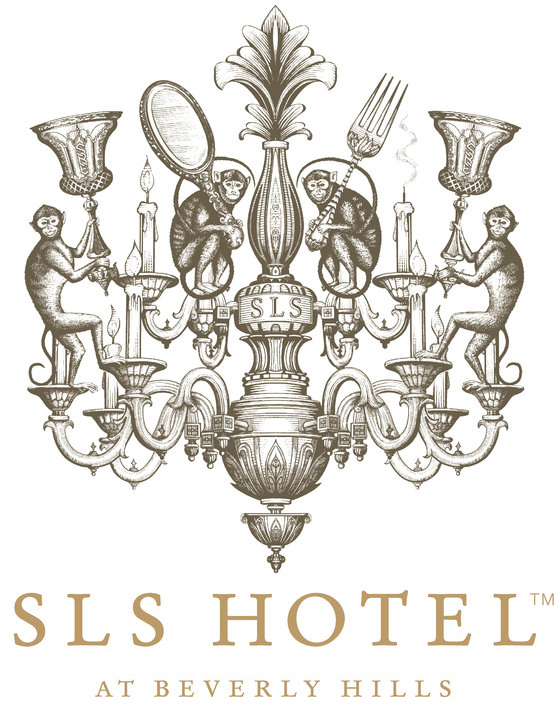 The logo identity was later transformed into a bronze statue on the side of the hotel building and also made into a bed headboard (see below). 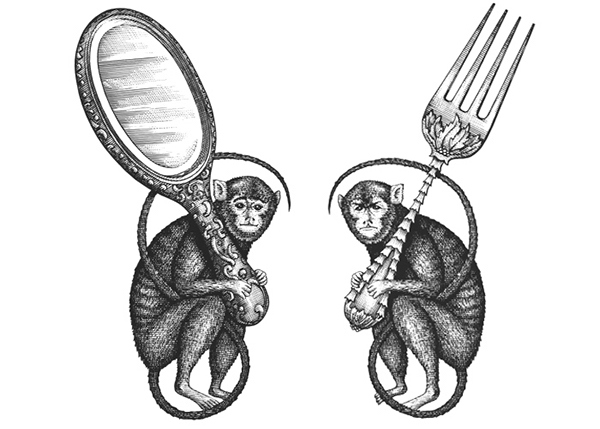 Artwork was illustrated on scratchboard using X-Acto knife tools on background clayboard.